Name Works Press Music Note-Book: ~ not for the faint of heart. Music Note-Book: ~ not for the faint of heart. 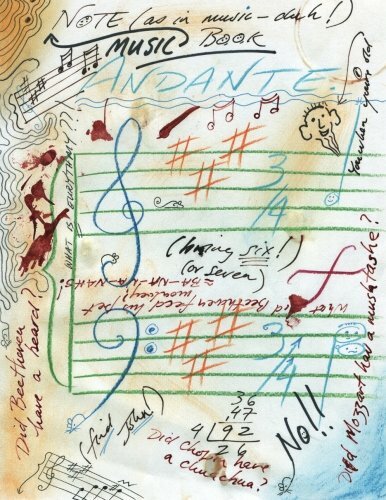 An 11 stave, 8.5x11, 100 page notebook for music students, song writers and professional composers. The right-hand page is lined and the left is blank for taking notes and jotting down lyrics. 2. Music Note-Book: ~ not for the faint of heart. 6. Music Note-Book: ~ not for the faint of heart. 7. Music Note-Book: ~ not for the faint of heart. 8. Music Note-Book: ~ not for the faint of heart.